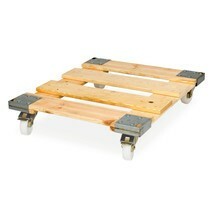 This durable roll container with wooden platform is a classic aid in the picking, storage and transporting of goods. 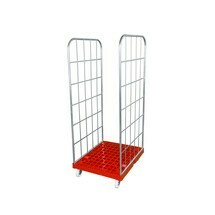 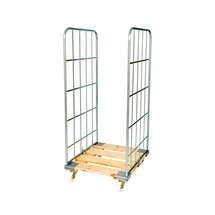 Two electro galvanised mesh panels stabilise the load from the sides. 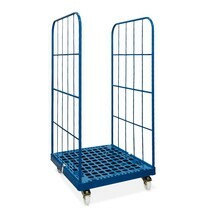 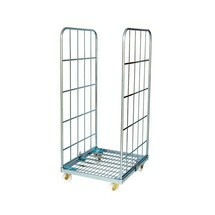 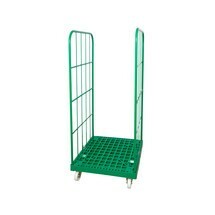 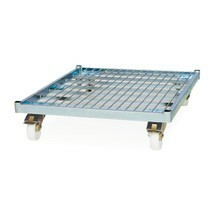 This durable roll container with steel platform is a classic aid in the picking, storage and transporting of goods. 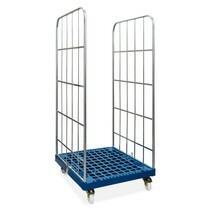 Two electro galvanised mesh panels stabilise the load.